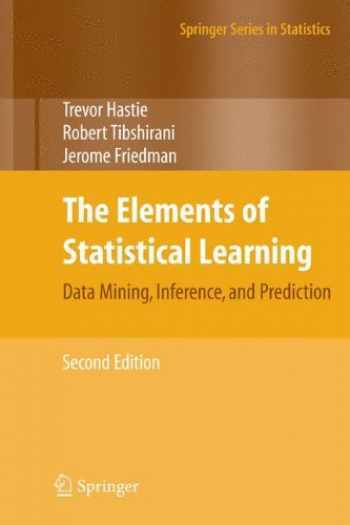 Acknowledged author Trevor Hastie wrote The Elements of Statistical Learning: Data Mining, Inference, and Prediction, Second Edition (Springer Series in Statistics) comprising 745 pages back in 2011. Textbook and etextbook are published under ISBN 0387848576 and 9780387848570. Since then The Elements of Statistical Learning: Data Mining, Inference, and Prediction, Second Edition (Springer Series in Statistics) textbook received total rating of 4 stars and was available to sell back to BooksRun online for the top buyback price of $34.12 or rent at the marketplace.